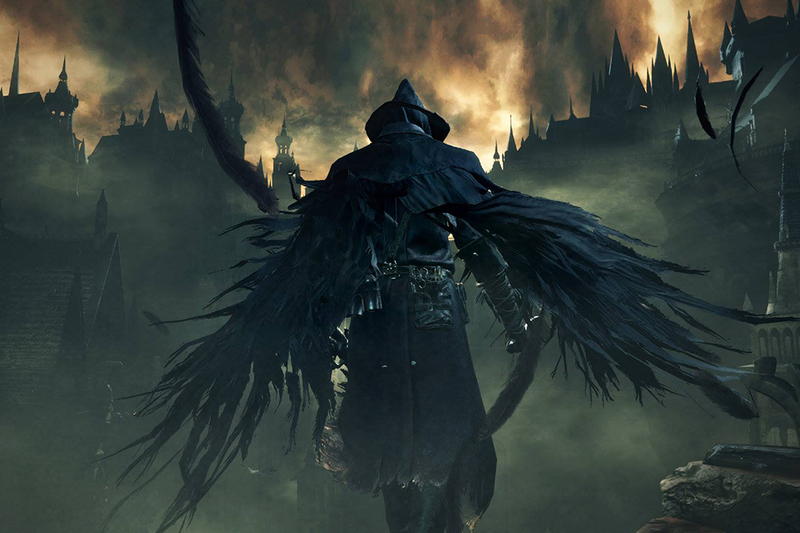 “Bloodborne” is a new game for the PlayStation 4. Developed by From Software, Inc., the creators of the “Dark Souls” series, “Bloodborne” is an action role-playing game where the player is placed in the land of Yharnam, trying to hunt monsters to find a cure for a dangerous blood-borne illness, hence the name of the game. The plot seems lackluster during the first hour of gameplay. Virtually nothing is explained other than the basic setup, and even then, questions about the who, the where, and the why have vague answers at best. Yet eventually, the story does slowly start to unfold and it becomes clearer as to why the player is doing everything. While having the player figure the plot out is an interesting storytelling mechanic, it does not seem to work well with this game considering the game itself is so difficult. By the time a new plot point is reached, it has already been a couple of hours of gameplay. This issue, however, is minimal considering the main draw of the game is its gameplay and difficulty. The gameplay is relatively simple, but the controls can seem unintuitive at first especially if the player is used to any other third-person action role-playing game. The player uses the trigger buttons to attack, rather than one of the buttons on the face of the controller. Instead, the face-buttons use sub-weapons. This confusion will lead to many deaths. Besides this confusion, the rest of the controls are straightforward. The player can run, dodge, switch weapons, lock onto enemies and attack quickly. The enemies are quick as well, which encourages a more skill based use of the player’s abilities. For example, countering enemy attacks is key to fighting off the bigger foes, but the timing is different for each enemy making countering very hard to do and even harder to master. One of the many ways the game is difficult is through the leveling system. Experience is earned by defeating enemies and gaining their “Blood Echoes.” If the player dies before using their “Blood Echoes,” they lose all of them. The player has a chance to retrieve their lost experience by defeating the enemy that killed them, but if they die again before then, it is permanently lost. Another difficult aspect of the game is the enemies. While the enemies are easy to defeat on their own, they tend to attack in large groups, which leads to once again many deaths. Despite the high difficulty, the game itself is still very rewarding. Nothing beats the feeling of defeating that one boss after several attempts, or discovering new areas to gain new, and even better items. The game has a very active risk versus reward system. Every area the player explores will offer new items or shortcuts to previous areas, but most of the time each area is guarded by enemies. It is up to the player to decide to be brave and venture forth or to play it safe and head back to the hub world. Overall, the game is very enjoyable. It does take some time to get used to from the paper thin plot to the somewhat confusing controls, but it leads to a very rewarding and ultimately fun gameplay experience that is recommended for any who own a PS4.